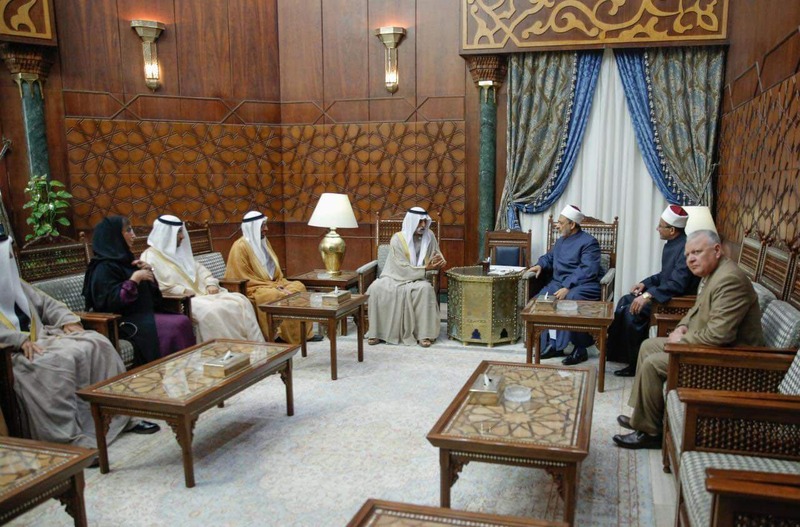 CAIRO, 25th February, 2019 (WAM) - Dr. Ahmed el-Tayeb, Grand Imam of Al Azhar, has received a message from His Highness Sheikh Mohamed bin Zayed Al Nahyan, Crown Prince of Abu Dhabi and Deputy Supreme Commander of the UAE Armed Forces, thanking him for his recent visit to the UAE, during which, he met with His Holiness Pope Francis, head of the Catholic Church, and together, they signed the ''Declaration on Human Fraternity''. The message was delivered by Sheikh Nahyan bin Mubarak Al Nahyan, Minister of Tolerance, when he met Dr. el-Tayeb in Cairo today. 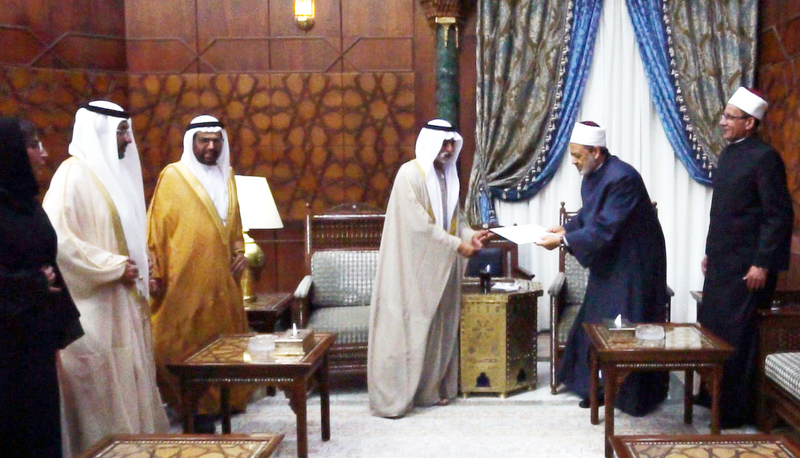 Sheikh Nahyan conveyed to the Grand Imam of Al Azhar greetings of President His Highness Sheikh Khalifa bin Zayed Al Nahyan; His Highness Sheikh Mohammed bin Rashid Al Maktoum, Vice President, Prime Minister and Ruler of Dubai, and His Highness Sheikh Mohamed bin Zayed Al Nahyan, Crown Prince of Abu Dhabi and Deputy Supreme Commander of the UAE Armed Forces. Dr. el-Tayeb reciprocated the greetings to the UAE leadership, wishing the country further progress and prosperity. "The meeting of His Eminence Dr. Ahmed el-Tayeb and His Holiness Pope Francis in Abu Dhabi and their signing of the document came as a culmination of the UAE's approach of promoting values of tolerance, fraternity and inter-faith dialogue across the world," Sheikh Nahyan said. "The UAE will remain to be an oasis for tolerance in the region and the world. We are very proud that our country hosted the signing of the historic document," he added. 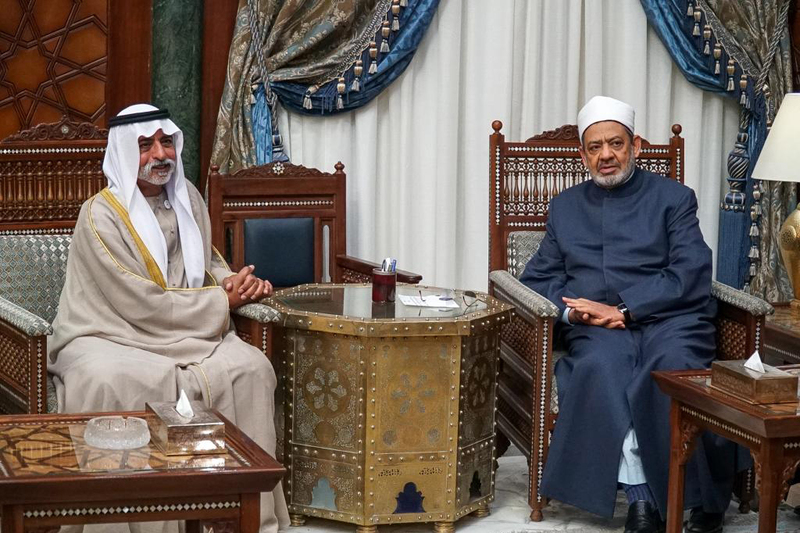 Sheikh Nahyan also praised the Grand Imam's pioneering role in promoting centrism and moderation and reaffirmed UAE's continuous support to his and Al Azhar's efforts, aimed at spreading the tolerant teachings of Islam, as well as adopting a moderate approach. The meeting was attended by Dr. Ali Rashid Al Nuaimi, Chairman of the World Council of Muslim Communities, Dr. Yousif Al Obaidly, Director-General of the Sheikh Zayed Grand Mosque and Dr. Sultan Faisal Al Rumaithi, Secretary-General of the Muslim Council of Elders.